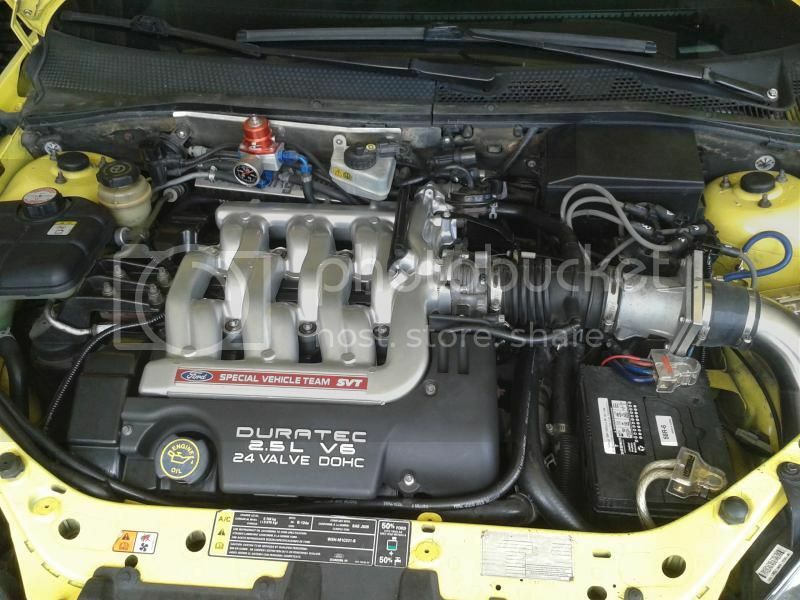 For those not familiar with it I have the V6Mistake-a 2.5L SVT V6 swapped Ford Focus. Nice little upgrade from the Zetec which resided in the car previously. However it has a lower oil leak and stock exhaust manifolds and a seized A/C compressor (re-routed belt) all of which I would like to rectify over the winter. Been doing a lot of reading on the full 3.0L swap and I think I am going to pull the 2.5 and swap a newer 3.0L. Currently I am running a stock SVT pcm but the question is if I do the swap do I need to swap to a Taurus PCM and PATS key as well? I will be swapping to a set of headers to replace the stock ones-will do the EGR delete at the same time and re-doing the intake setup. A full tune goes without question. Will I get a CEL for the IMRC or can that be taken out with a tune? Is there any re-sale value for the SVT PCM? Imrc can be tuned out and there is also a resistor bypass that can be made. Depends on the pcm code. I've got one I've been sitting on for awhile.